After we say “I do”, most of us don’t realize you should continue to “Date Your Spouse”. I was definitely one of them. I was naive to believe that the dating was over and now we had to focus on getting through life. I believe this is one reason why marriage gets a bad rap, you know, the saying “the ball and chain”? This insinuates the fun is over! Is there no “fire” in your love life? Are you missing a close connection with your mate? Have you been missing the fun in your marriage? 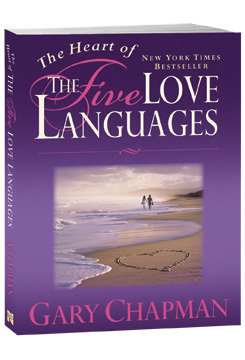 Gary Chapman’s book, The Five Love Languages, is amazing for married couples. It outlines the different ways people can feel loved. He measures how someone feels love by a “love tank”. Basically when the spouse feels loved their spouse is doing things to fill their tank. The fuller the love tank, the more satisfied and dedicated to the marriage the spouse becomes. However, when the love tank is empty, it can cause a spouse to feel alone in the marriage and withdraw. This can happen when we focus on the daily grind and our problems and forget to give our spouse the love and attention that all of us crave and need. This makes it sound simple; however, there are five different love languages. If you want to take the free quiz to find out your love language, click here. The difficult part after understanding your spouse’s primary and secondary love language is figuring out how to fill their love tank when their love language isn’t yours. Because it won’t come naturally to you and you will have to work at it. I know all about this because my husband didn’t get his love tank filled and therefore neither did I for years. I am not that creative or romantic even though I love the comedy-romantic movies. I needed a lot of help so, I went on a quest to gather all the ideas I possibly could to put together a Date Your Spouse guide that would help those that wanted to put “The 5 Love Languages” into practice. You should continue to date your spouse even after you say “I do”. As we get older, our personalities will change. So, you may know 90% of the intimate things about your spouse on your wedding day but I bet those change in 5 – 10 years. As we get older and go through seasons in life, our personalities and goals will evolve. Also, why do the fun things we did before we got married stop after we live together? Unfortunately, they typically do stop or don’t happen as often because life gets in the way and kids are introduced into the picture; however, the fun times should continue for your relationship to grow. For a loving, committed and fun relationship, we all need to date our spouse. Here are 3 obvious reminders of why dating in marriage is so important. When you aren’t dating your spouse, the focus in the marriage turns into just getting through the day. Your focus seems to be on the daily grind. Well that will grind any fun and enjoyment out of your relationship. There must be a balance of dealing with life’s chaos and nurturing your relationship. When you continue to date your spouse, you have an attitude of wanting to learn more. You wake up every day wondering what you will learn today about your spouse. While dating your spouse, you’ll realize he or she really is your best friend and there won’t be anyone else you would rather spend your time with. You realize there’s more to your relationship than just being roommates, breadwinners, and babysitters. Romance is not a temporary tool. It should be a permanent fixture in the lives of every loving marriage. When you date your husband or wife, you get to have new experiences by doing and seeing new things together. When you plan activities, you are building fond memories that you can discuss years from now and they will also motivate you to make more memories. You get to know each other better because you’re seeing each other in a new light – sometimes literally! Common activities lead to shared feelings. This increases the amount of shared memories you have together. Think about it. What if all you did together was to ask if you paid the electric bill, balanced the checkbook, and who is picking up the kids from school? What a romance killer! When all is said and done, what’s the single most important thing in your life? Why your spouse of course! 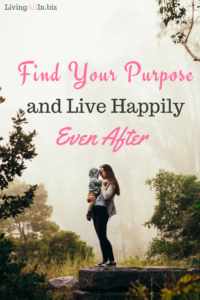 It makes sense then, that you’re filling your life with as much spouse-time as possible. By dating your spouse, you’re telling him or her that he or she is a priority in your life. Obviously, there are things that take up your time – good things. Working on your career and making money, spending time with friends and family, and working with your school or church are all good things. While it may not be realistic to spend 40 hours a week dating, the time that you do spend together can be focused and powerful. 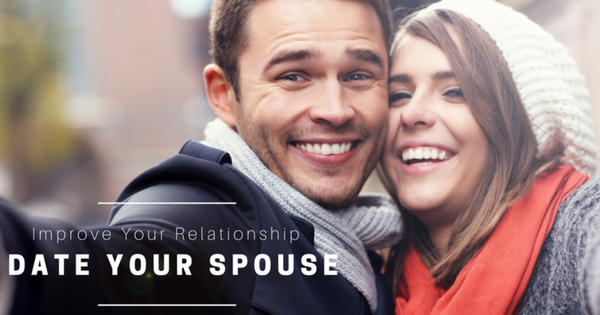 By dating each other on a regular basis, your marriage will be strengthened. You’ll feel loved. You’ll have a solid base to go out into the world. How do the 5 Love Languages Encourage You to Date Your Spouse? In Gary Chapman’s book, The 5 Love Languages, he states there are different types of emotional connections that helps some feel more loved than others. My Date Your Spouse ebook doesn’t teach any of Gary’s content but only provides ideas to be used for your dates and in daily life to help your spouse feel more loved in the relationship. 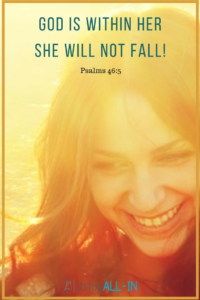 So, if your spouse has the words of affirmation love language, then we share ideas for encouragement and loving phrases you can use when you are running out of creativity. If your spouse’s love language is receiving gifts, we will help you with gift ideas that will not break your budget. All five areas are shared in this book with some creative and simple ideas that can be used on weekend getaways or on any normal day of the week. 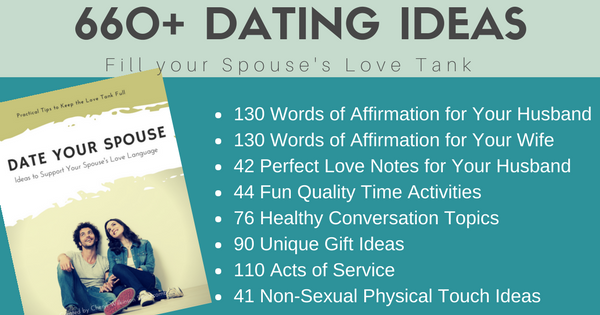 This Date Your Spouse guide is filled with so many ideas so you don’t to work hard by gettin creative or doing any research. Just open it up, pick one, and start having fun. You can immediately download this ebook for only $7. Get your copy today and add more spice into your marriage.